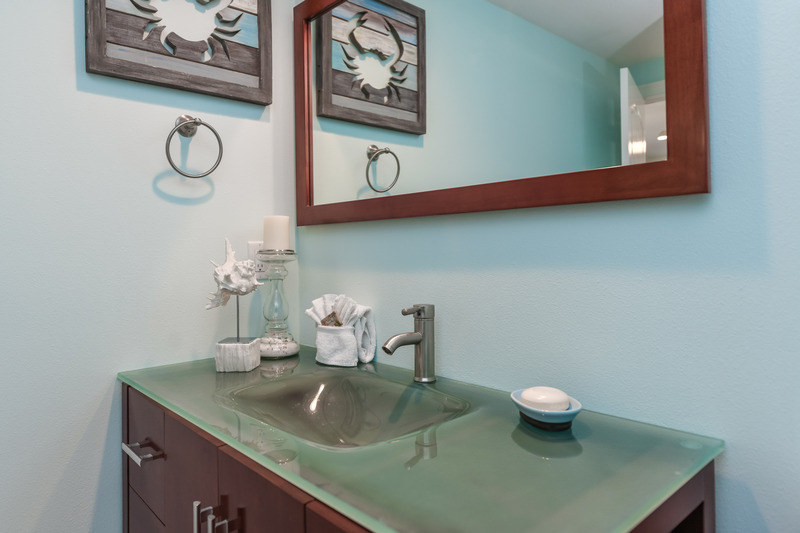 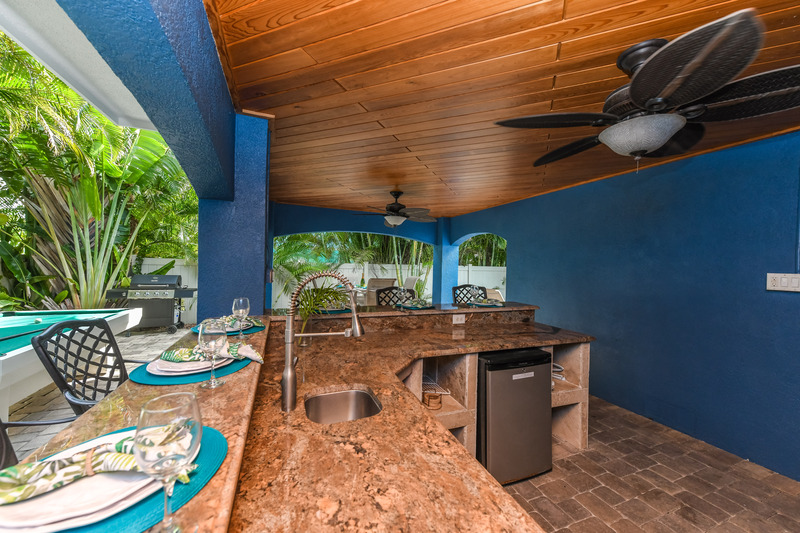 Everything you expect from a luxurious tropical vacation rental home is waiting at Island Oasis! 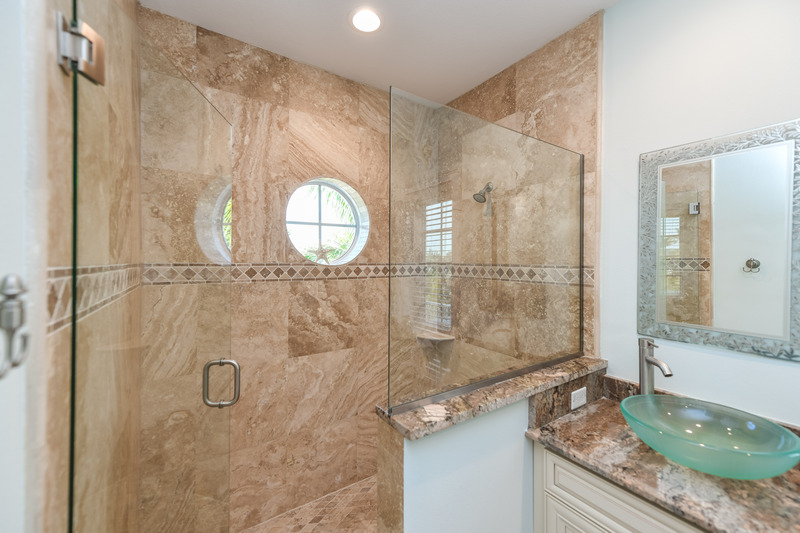 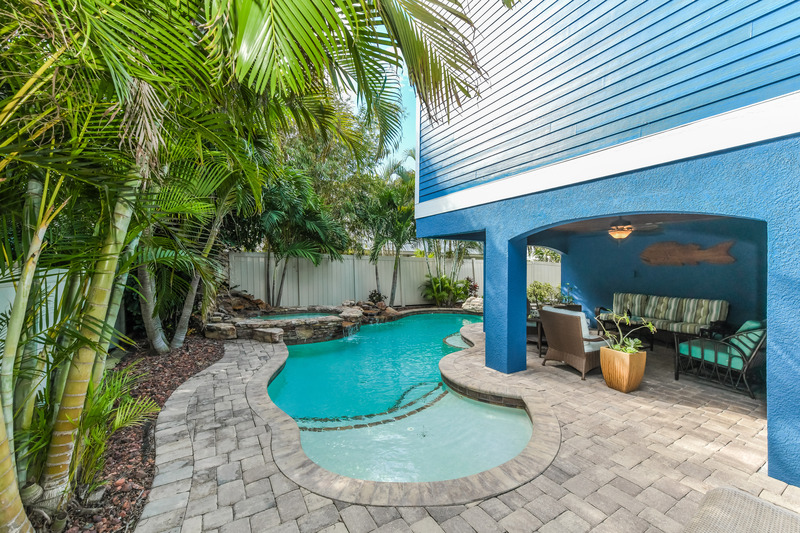 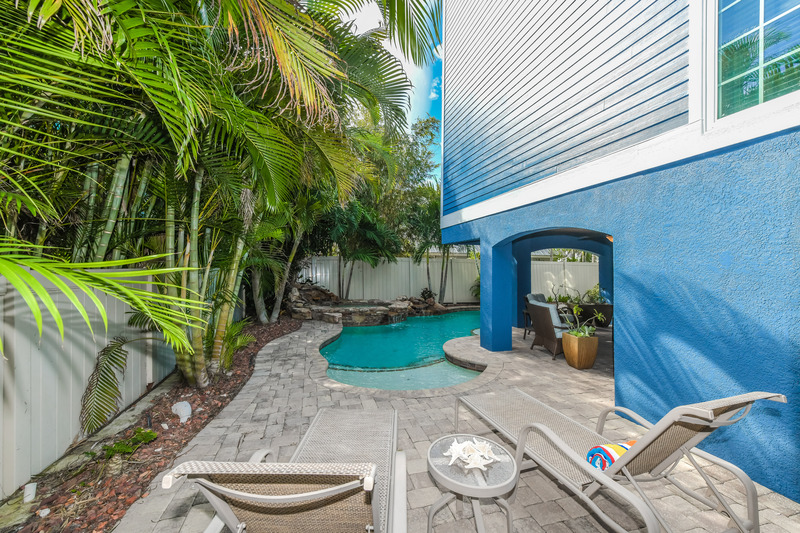 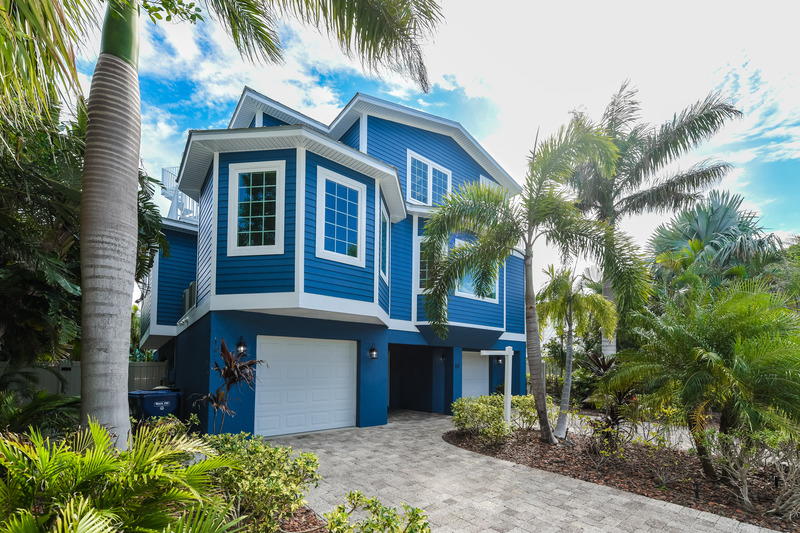 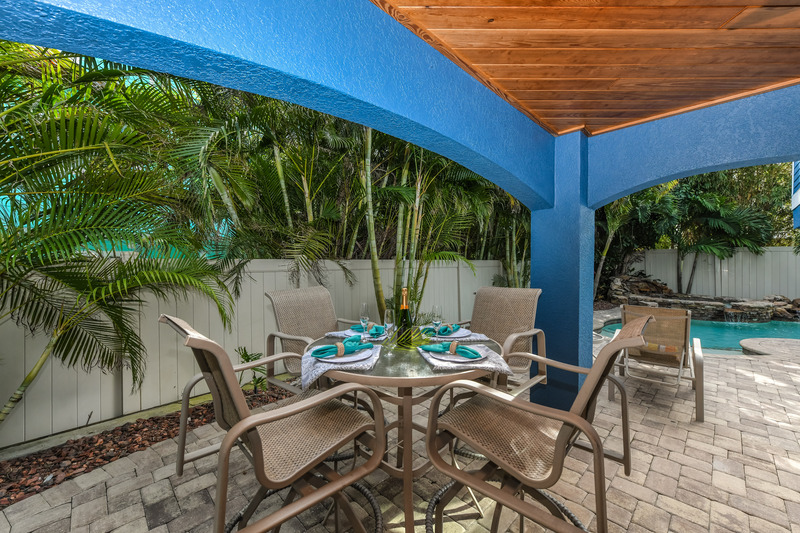 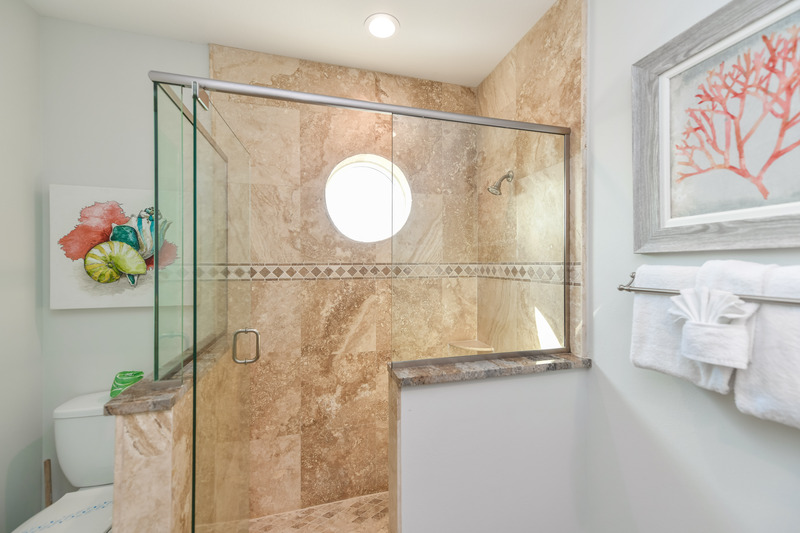 This multiple-level home is nestled on a quiet street on Anna Maria Island with beach access only a few steps away. 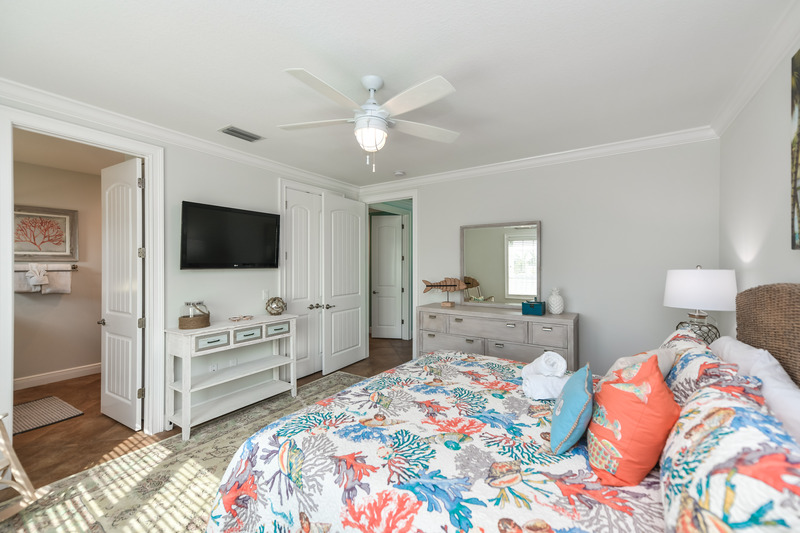 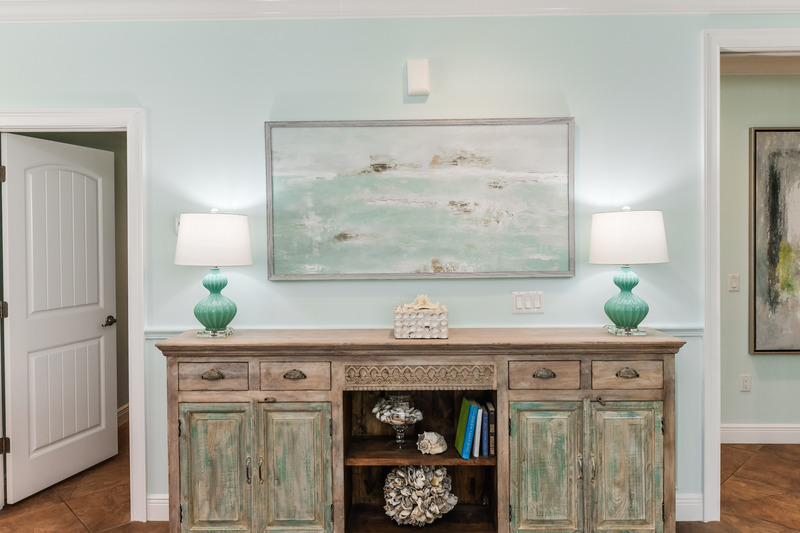 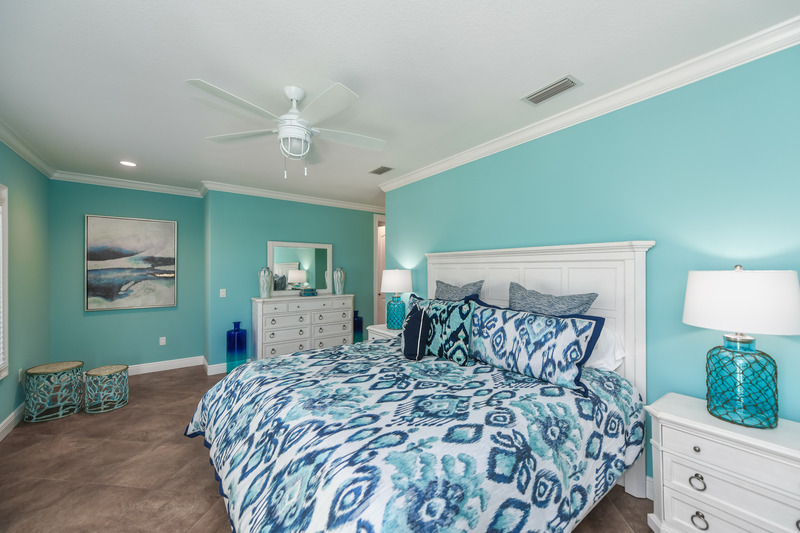 During your stay you’ll enjoy beautiful coastal décor and spacious accommodations for up to 10 guests with 5 bedrooms and 3.5 bathrooms. 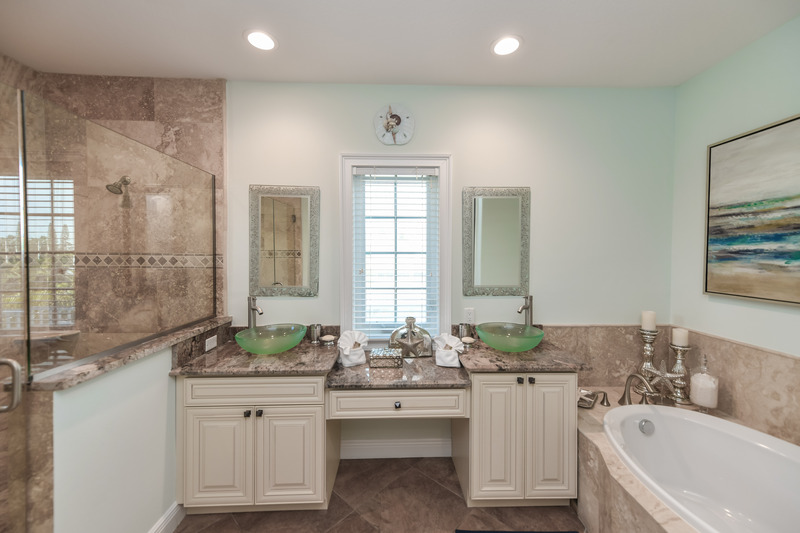 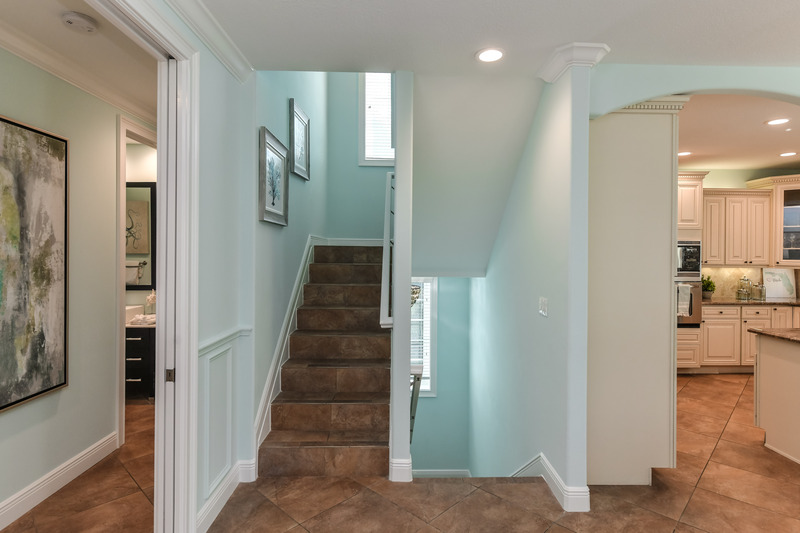 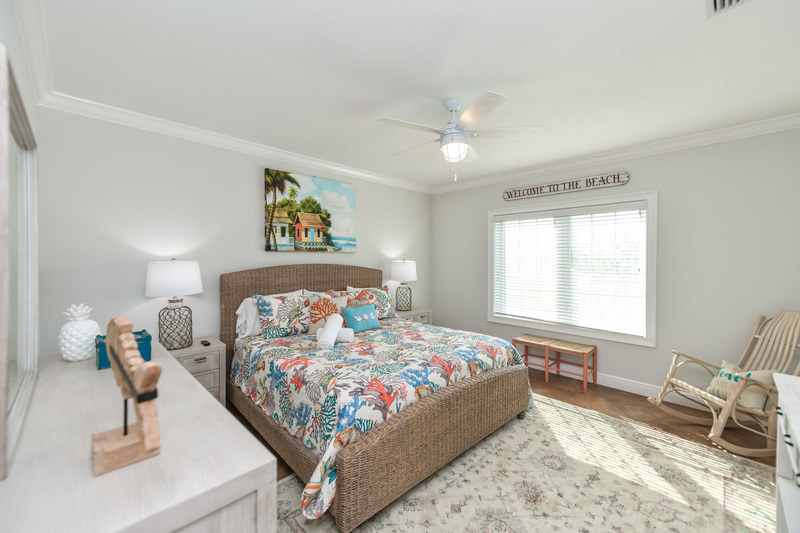 There are three bedrooms on the main living level and two master bedrooms on the upper living level. 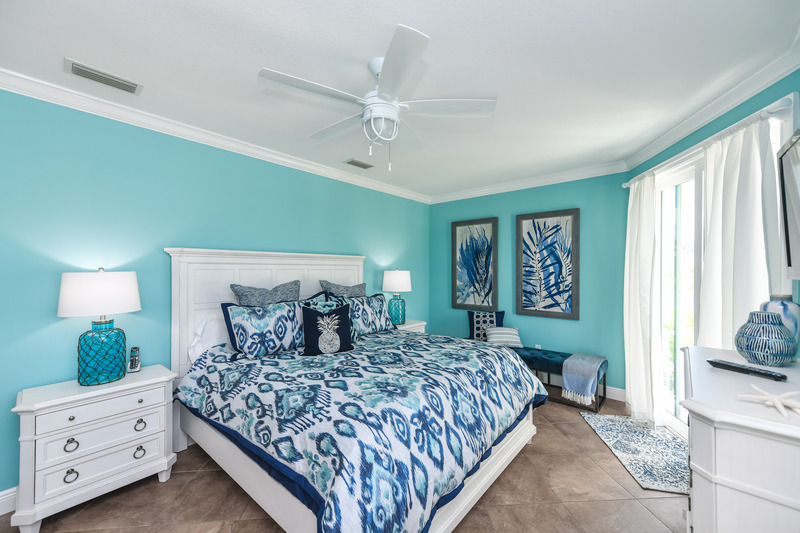 Four bedrooms offer king beds and the fifth bedroom offers a full over full bunk bed – a private space for everyone! 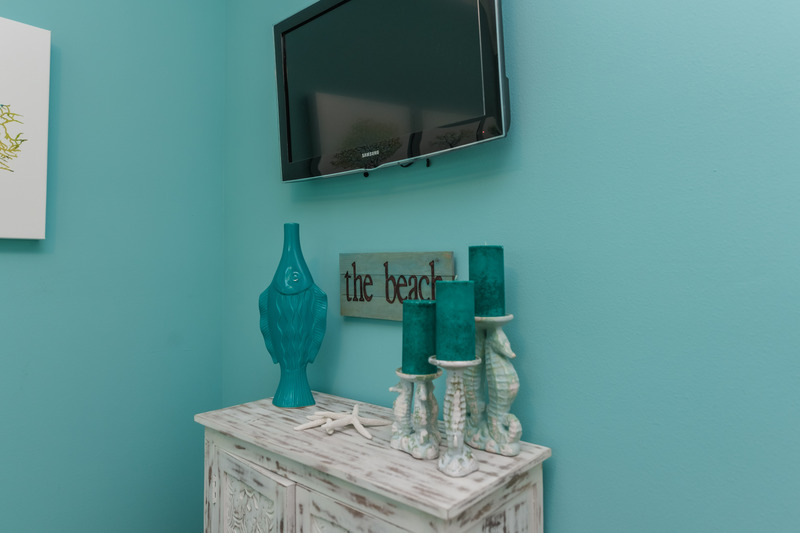 All bedrooms have a flat screen TV. 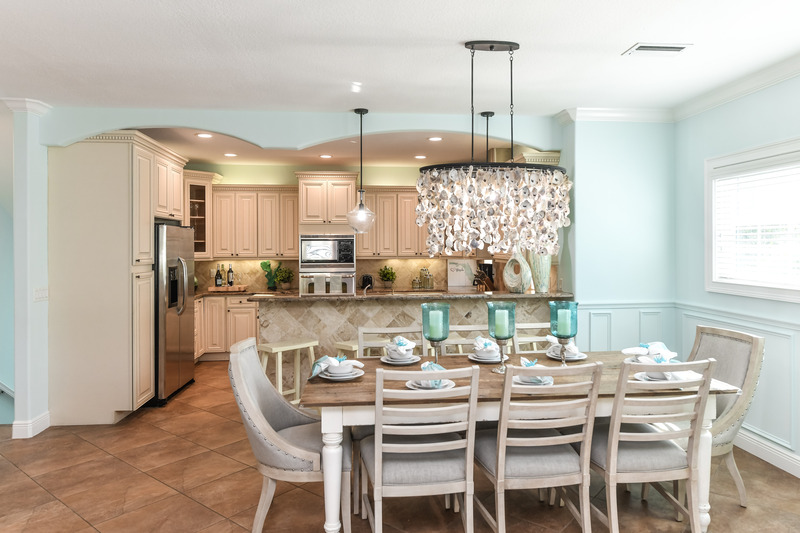 This home is truly great for hosting larger groups! 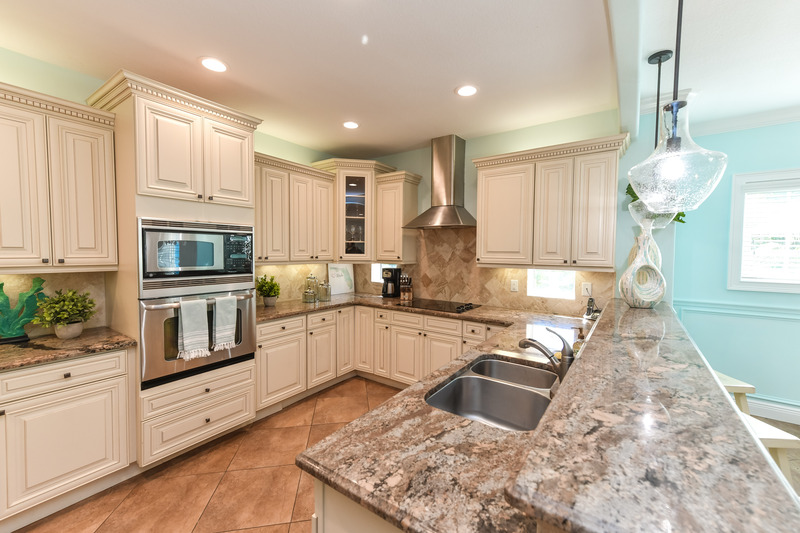 The kitchen features stainless steel appliances, granite countertops, hooded stove, and a dishwasher. 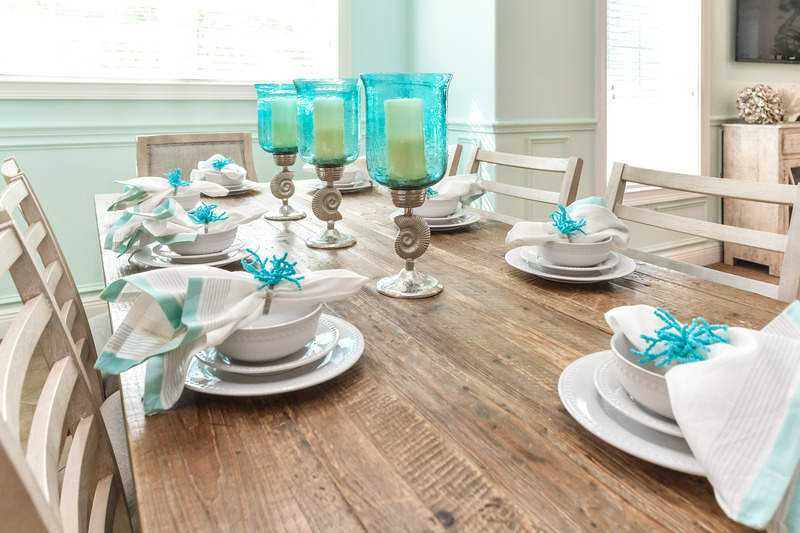 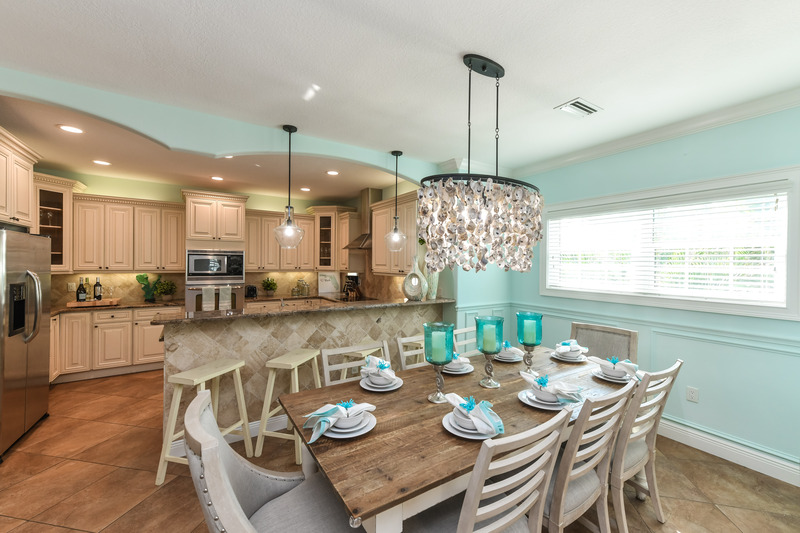 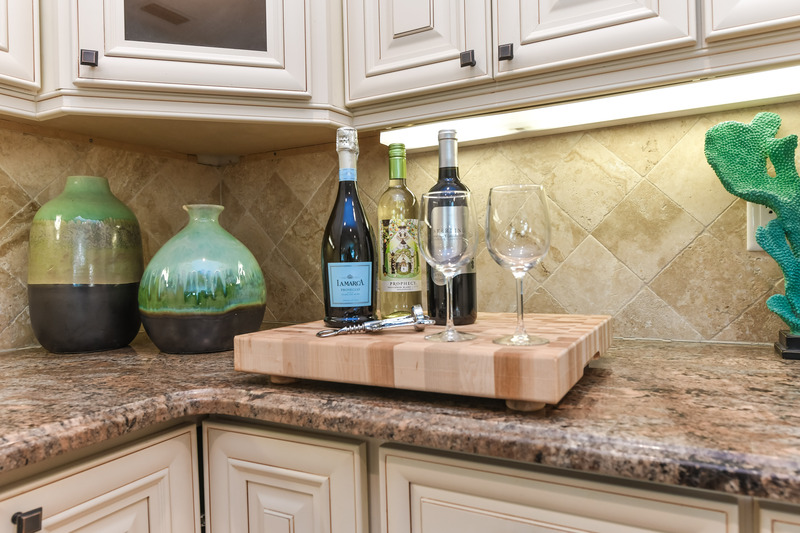 With seating for 10 at the kitchen table, preparing and enjoying family meals will be easy on this vacation. 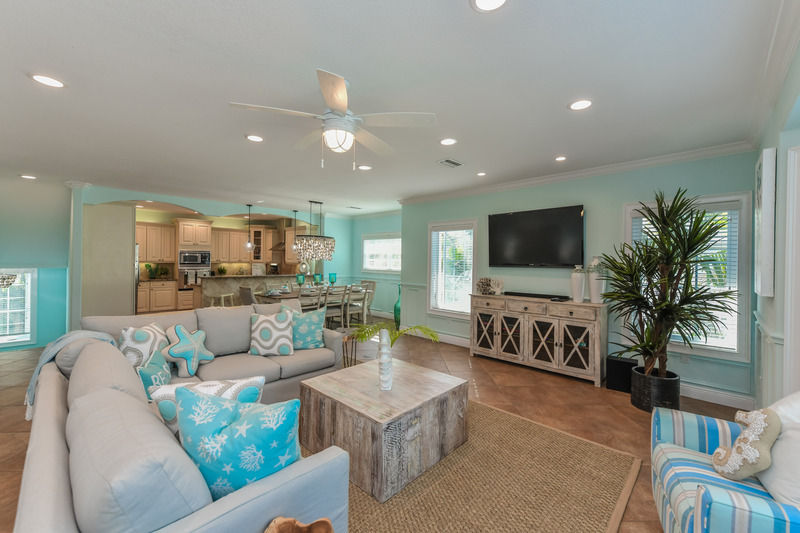 The open floor plan and living room makes for a comfortable place for large group gatherings. 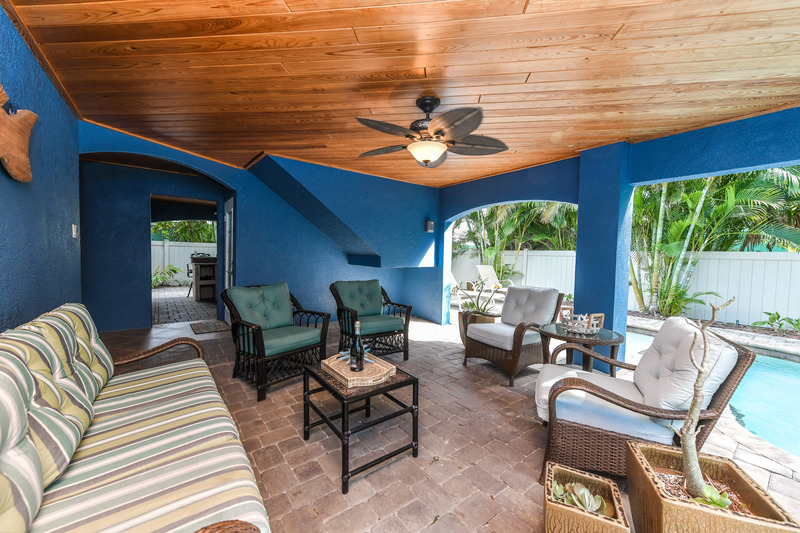 The outdoor spaces around this home are phenomenal. 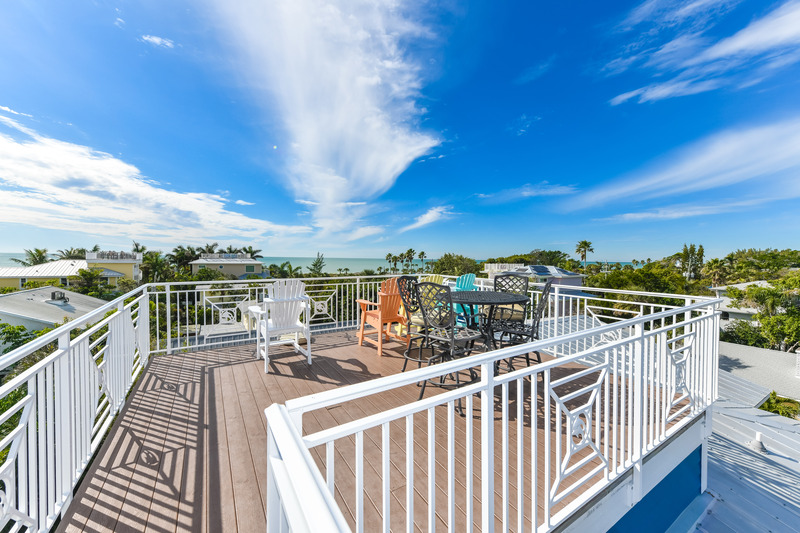 Never miss a sunset from the beautiful rooftop deck and balconies. 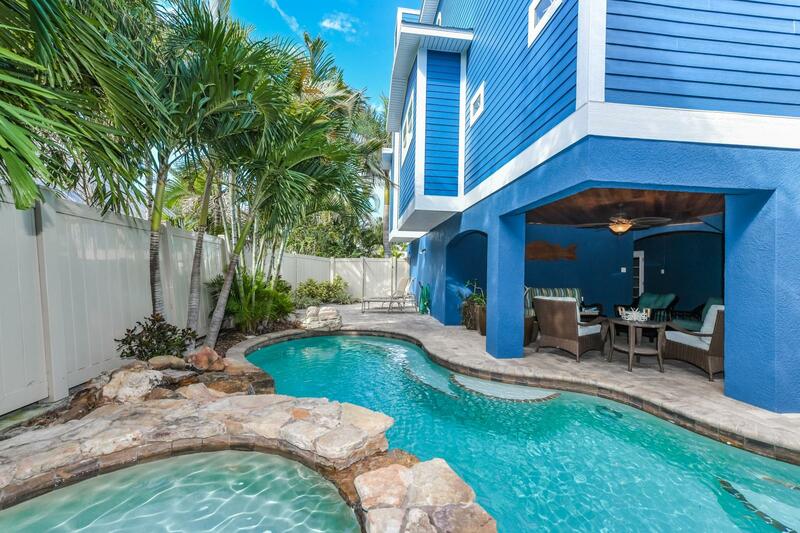 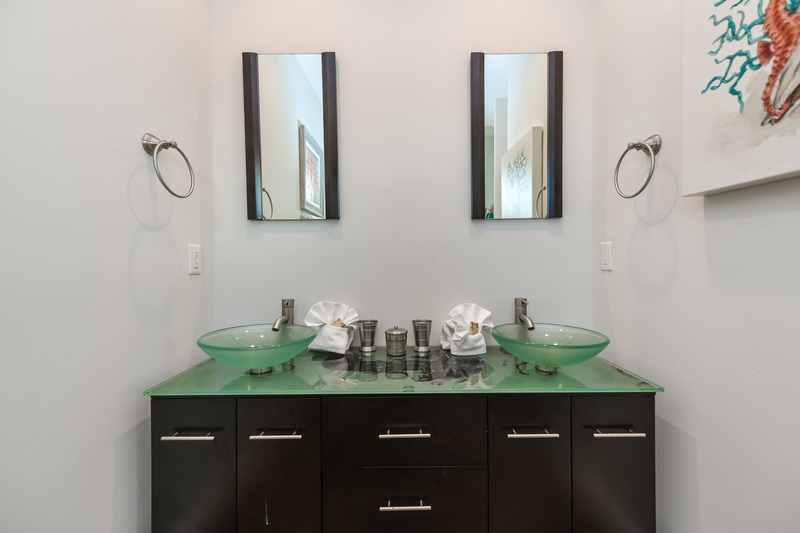 There is also a heated pool and spa with an attractive waterfall feature and outdoor shower. 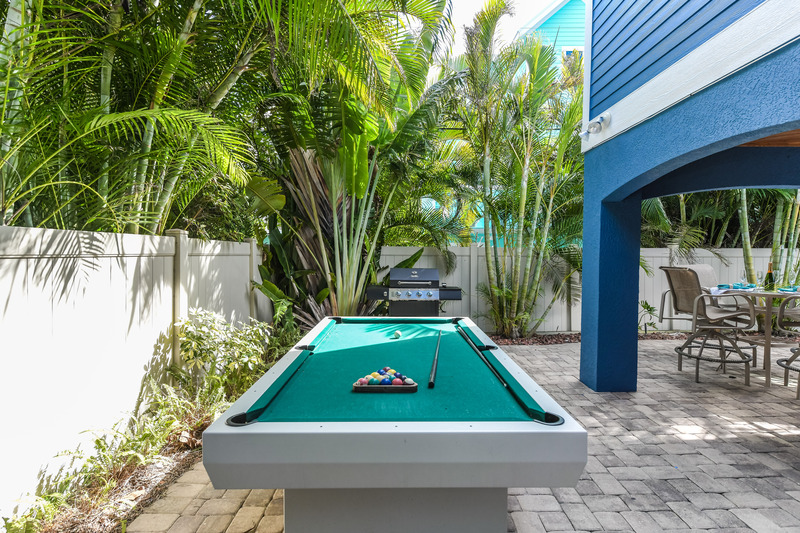 Relax in the outdoor covered lounge area with the flat screen television, bar, and barbecue grill or keep your group entertained with a game at the pool table. 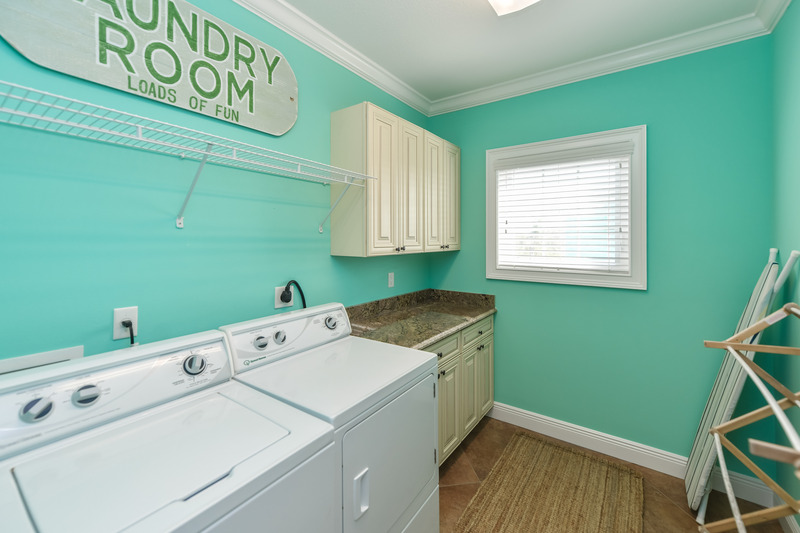 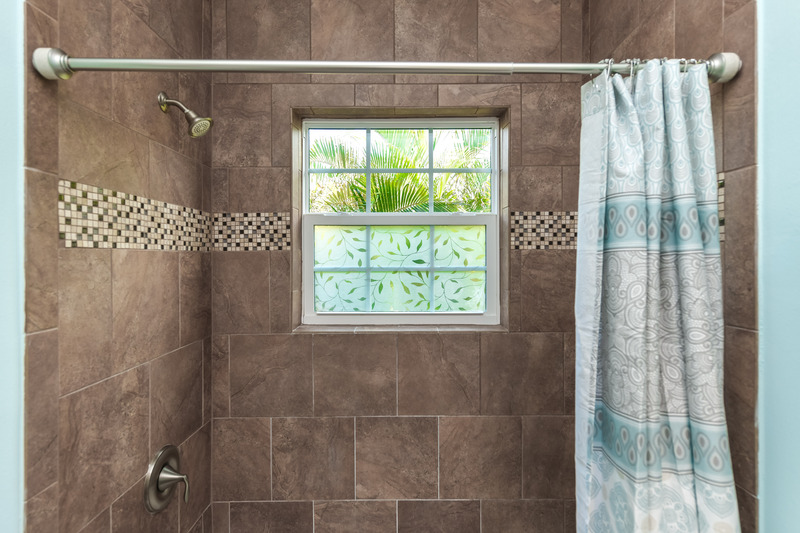 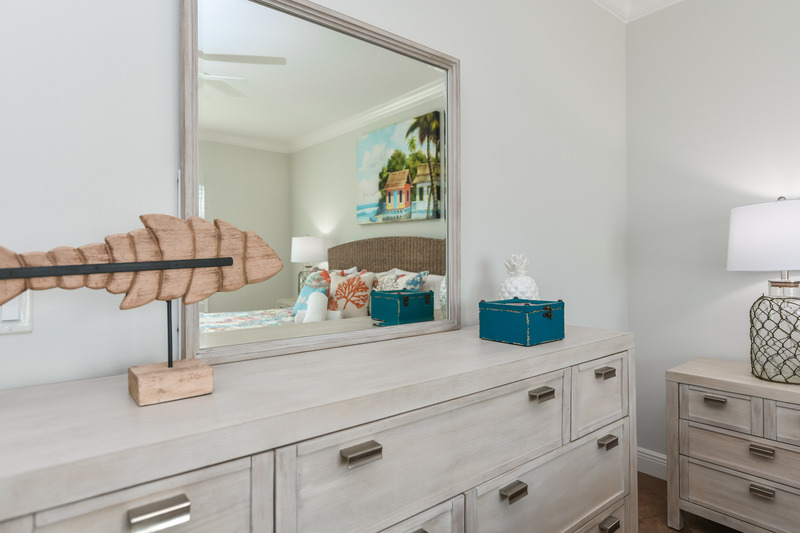 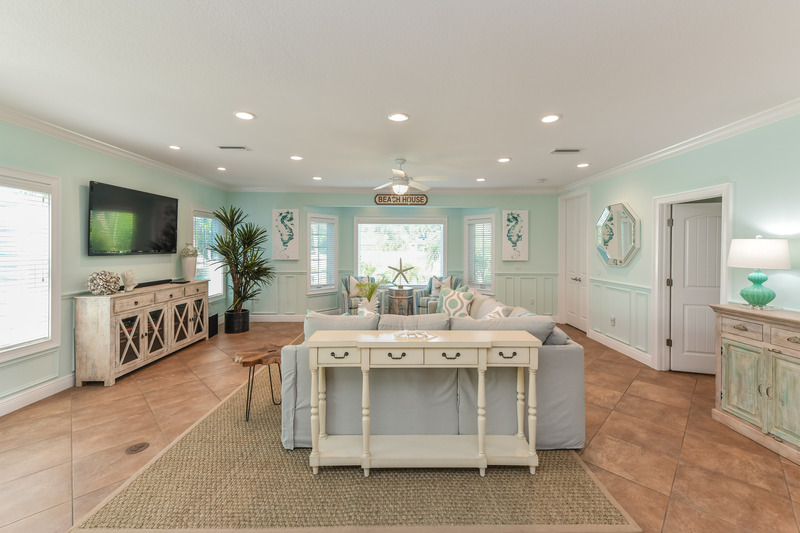 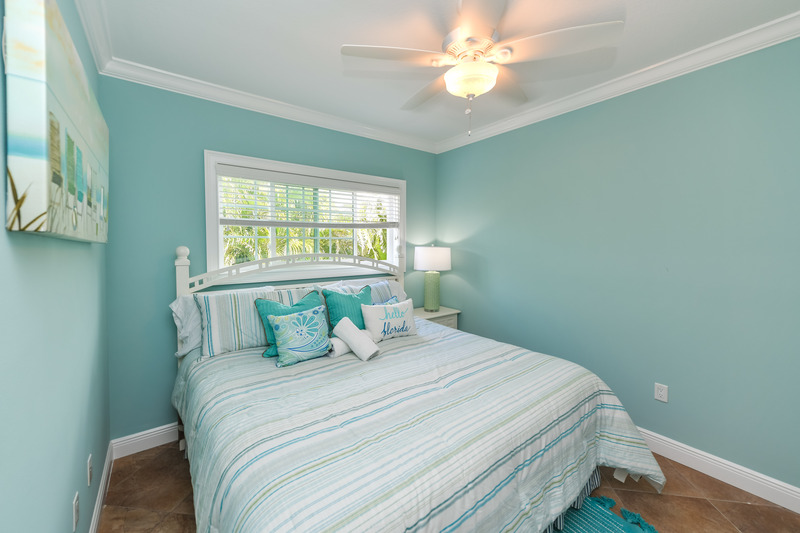 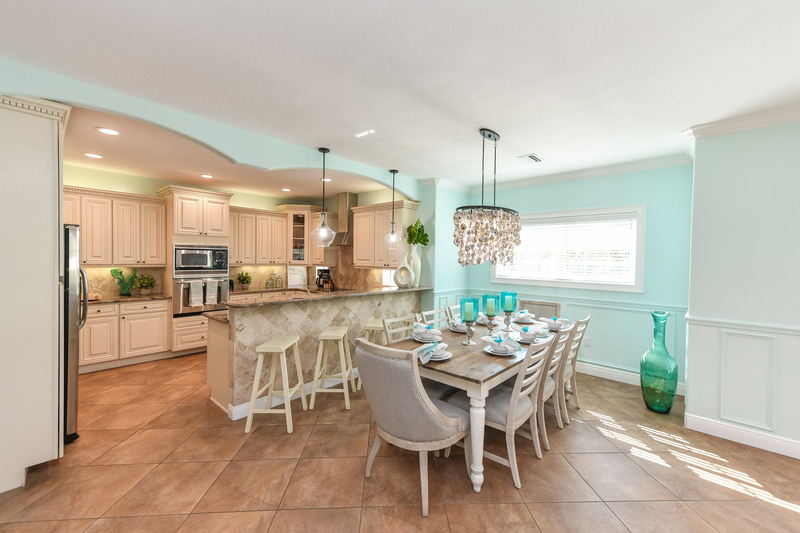 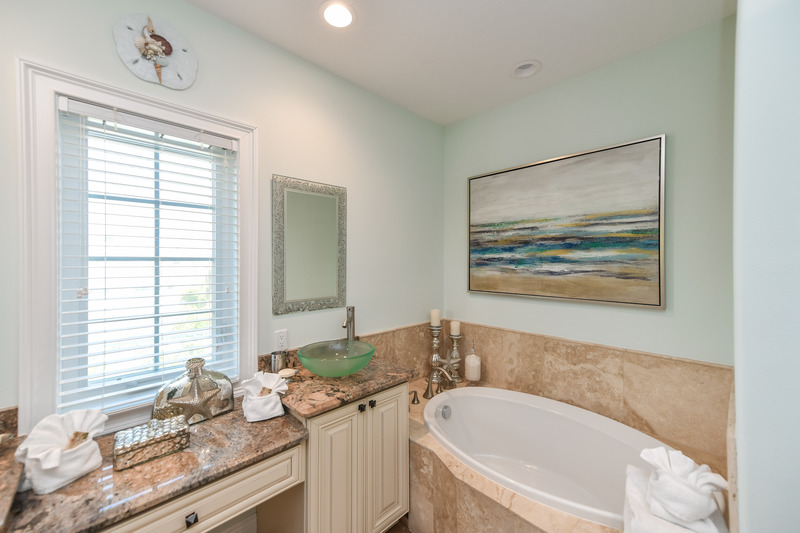 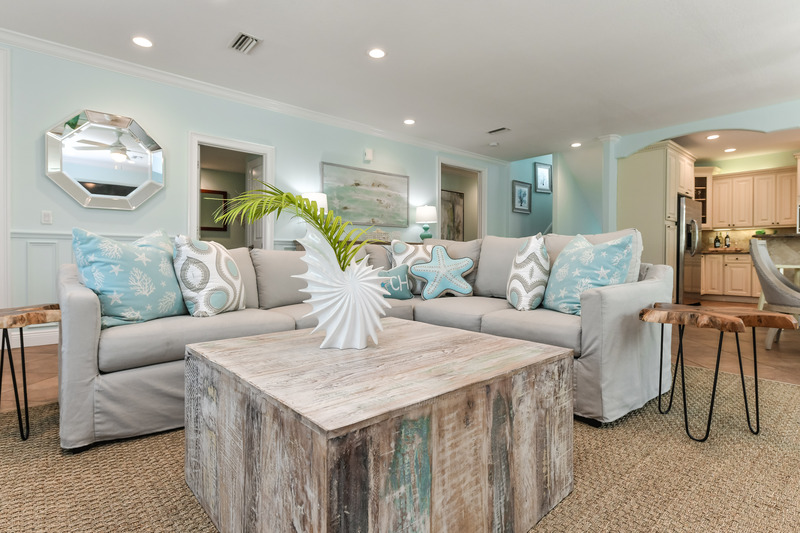 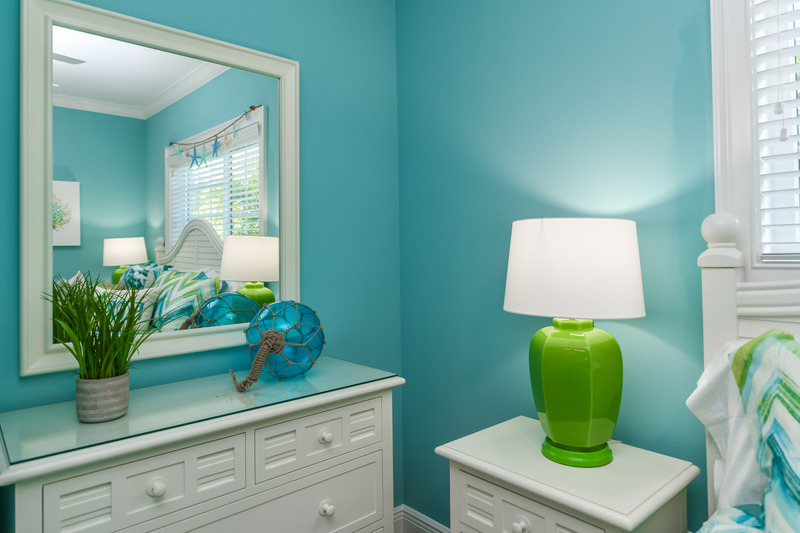 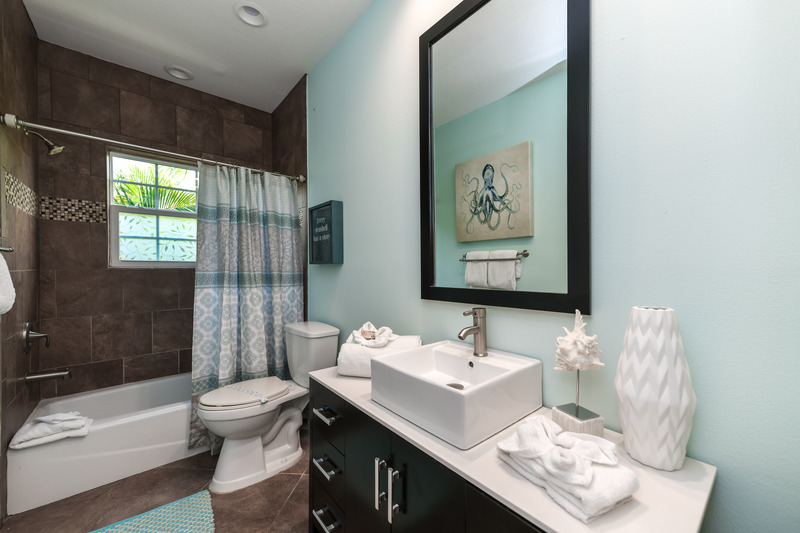 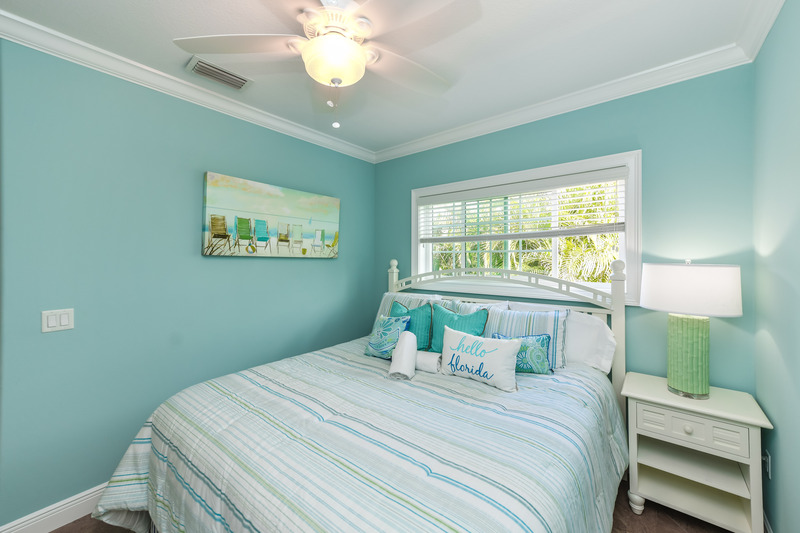 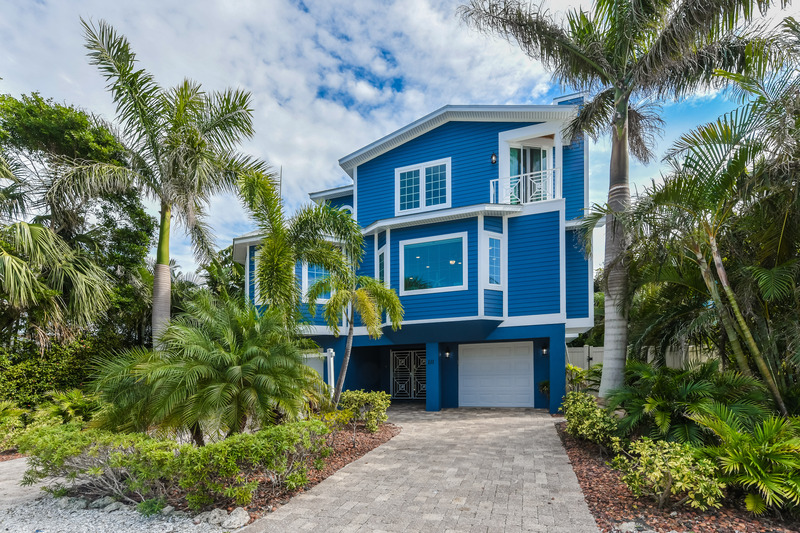 When you come to stay and play on Anna Maria it’s all about adopting the island lifestyle; and that is exactly what this house will let you do. 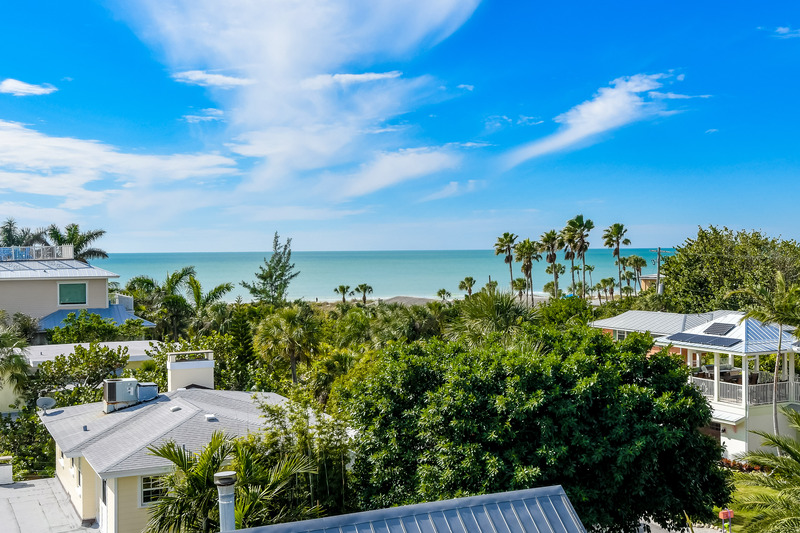 Grab the provided beach towels and walk down the street to the beach where you can often spot the dolphins jumping in the mornings. 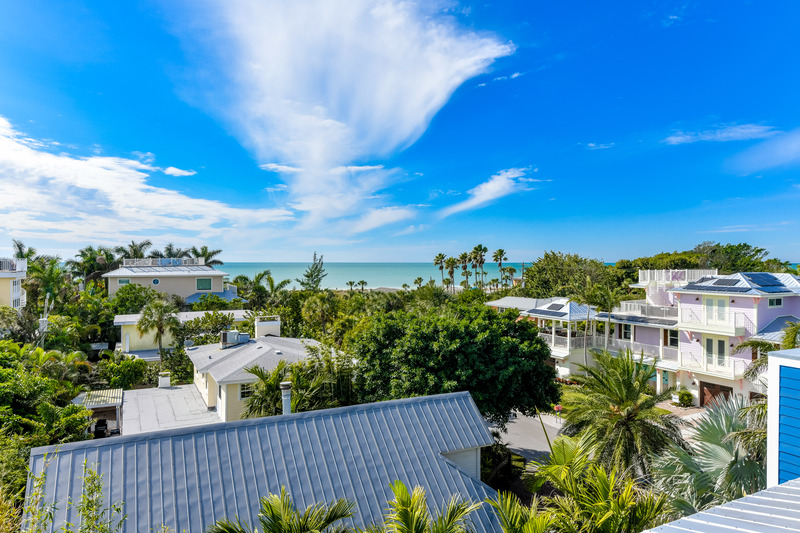 Rent a bike to explore the island’s many hidden gems and watering holes, or spend a leisurely afternoon shopping on Pine Street. 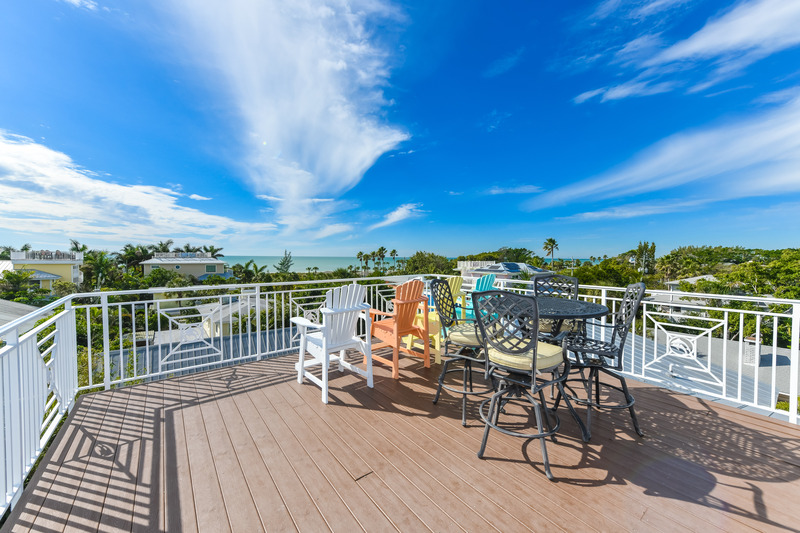 There is so much to see and do when you vacation on Anna Maria Island, you’ll never want to leave.